The Heirs of Palmer & Marie (Clauson) Holman, have made the decision to offer the following real property at auction at the land - Located from Brookings, SD - 7 miles north on I-29 to the White-Bruce Exit #140, then approx. 5 miles east on Hwy #30 to the Cenex Station at the Jct. of Hwy. #30 & Co. Rd. #25 (478th Ave.), then 7 miles north on 478th Ave., 4 miles east on 197th St,, 1 mile south on 482nd Ave., then jog ¼ mile east on 198th St. to the NW Corner of the Land at the Jct. of 198th St. & 482nd Ave.; from Toronto, SD – 3 miles south on 478th Ave., 4 miles east on 197th St., 1 mile south on 482nd Ave., then jog ¼ mile east on 198th St. to the NW Corner of the Land at the Jct. of 198th St. & 482nd Ave.; or from the SW Corner of the Golf Course at Hendricks, MN – approx. 2 miles north on Hwy #17, then approx. 5½ miles west on 197th St., 1 mile south on 482nd Ave, then jog ¼ mile east on 198th St.
AUCTIONEERS NOTE: This auction presents the opportunity to purchase land, which according to the owners, has been in the Clauson/Holman Family for over 100 years, dating back to 1909. If you are in the market for a multi-faceted parcel of Brookings County, SD Land, then this is it, as this land would serve as a terrific livestock farm with a mix of native and tame grass pasture, cropland/hayland and excellent hunting opportunities for deer, pheasants, waterfowl and other wild game, made apparent by the observation of dozens of deer in various areas of this land, as well as other wildlife at various pre-sale inspections of this land by the auctioneers. This is a property that will be of interest to a myriad of buyers for a variety of potential utilizations, so mark your calendars and make plans to inspect this property and be in attendance at this auction. This +/-270 Acre Farm will be Offered as TRACT #1 - +/-218 Acres Lying East of 482nd Ave., TRACT #2 - +/-52 Acres Lying West of 482nd Ave. or as TRACTS #1 & #2 Combined – The +/-270 Acre Unit. This property consists of some scenic land comprised of a mixture of native & tame grass pasture, as well as some cropland acres which have been recently utilized for a combination of row crop production and hayland. According to FSA information this +/-270 acre farm has approximately 141 acres classified as cropland (although it appears that approx. 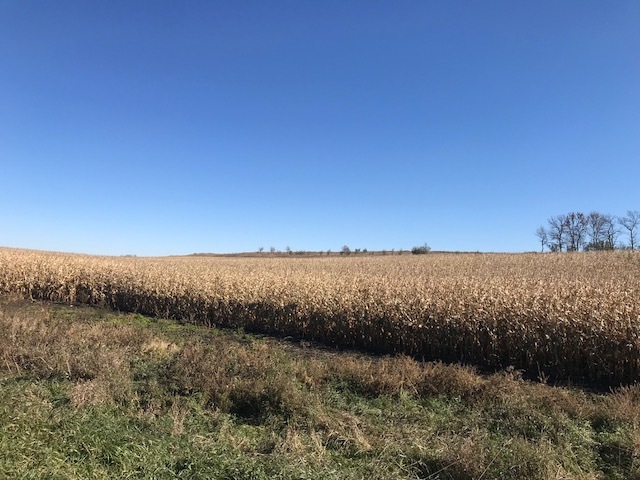 62 acres have recently been utilized has cropland & hayland, with the remaining cropland acres utilized as pasture), with a total of 77.20 base acres comprised of an 18.59 acre corn base with a 122 bu. PLC yield, a 24.96 acre soybean base with a 32 bu. PLC yield, a 21.48 acre wheat base with a 52 bu. yield and a 12.17 acre barley base with a 46 bu. yield, with the cropland enrolled under the County ARC farm program election. All of the remaining acres are comprised of established native and tame grass pasture with water for livestock provided by a combination of dugouts at various locations, waterways and a spring on the east portion (Tr. #1). Brookings Deuel Rural Water is nearby, for information concerning availability & costs, contact B-D RW at 605-794-4201. According to the Brookings County Assessor this farm is assessed in 4 parcels with soil/parcel ratings ranging from .429 to .520, comparatively info. obtained from Surety Agri-Data, Inc. indicates this land has a Productivity Index of 42.9 The general topography of this land is gently rolling to hilly. The West Portion (Tr. #2) has remnants of a farmstead, trees, a driveway and electrical service was previously on the property, although it has been disconnected and the meter removed. TR. #2 could be a pleasant location for re-establishment of a rather secluded rural bldg. site for a new owner and/or a nice small pasture for bulls or replacement heifers. This property is situated in the Deubrook School District. The total combined RE Taxes payable in 2018 on this property in its entirety are $2,822.46. An added feature of this property is that it includes some excellent wildlife habitat, with terrific hunting opportunities for whitetail deer, pheasants, waterfowl and other wild game, with very little outside pressure, as this land is somewhat secluded with no roadways bordering large portions of this land. 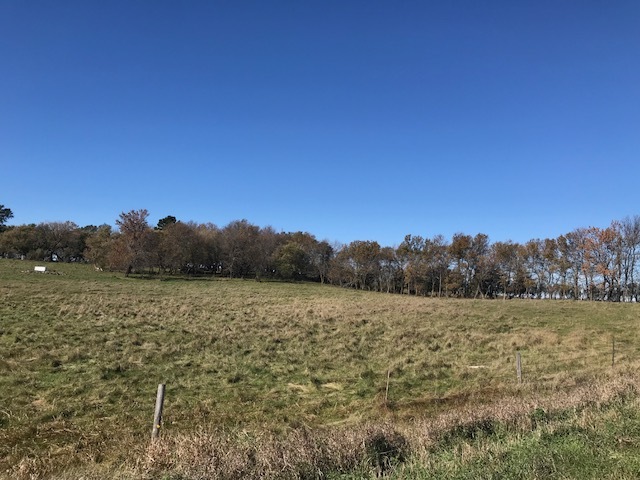 If you are in the market for a unique parcel of Brookings County, SD that is suitable for a variety of utilizations, then make plans to inspect this property prior to the auction at your leisure - by 4 wheeler/ATV or horseback and be in attendance at this auction, as this land truly must be seen to be appreciated! Legal Desc. : The NW¼ NE¼ and the NE¼ NW¼, Excluding Clauson Outlots, the S½ NE¼, the NW¼ SE¼ and the S½ NW¼, all in Sec. 14, T. 112N., R. 48W., (Oak Lake Twp. ), Brookings County, SD. TERMS: CASH - A 10% nonrefundable earnest money payment on the day of the sale and the balance on or before Dec. 21, 2018, with possession for the 2019 crop year/grazing season and subject to the rights of the existing tenant to harvest the 2018 standing crops and any rights under the existing farm lease which expires on Dec. 31, 2018. Marketable Title will be conveyed and an Owner’s Title Insurance policy will be provided with the cost of the owner’s policy divided 50-50 between the buyer and seller. A Title Company Closing Fee, if any will be divided 50-50 between the buyer and seller. If sold as a +/-270 acre unit the price will be determined with the price per acre multiplied by the acres as stated on the county tax records, with the acres being understood to be 270 acres “more or less”; if divided into multiple parcels (Tracts #1 & #2) – the acres then will be determined by a survey and the purchase price adjusted in accordance with the surveyed acres, with the acres in either case understood to be “more or less”, with survey costs paid by the sellers. The sellers do not guarantee that existing fences lie on the true and correct boundary and any new fencing, if any, will be the responsibility of the buyer pursuant to SD Law. All of the 2017 RE taxes payable in 2018 will be paid by the sellers. This property is sold in “As Is Condition” and the information contained herein is deemed to be correct, but is not guaranteed. FSA cropland acres, yields, bases & other information is estimated and subject to County Committee approval. This property is sold subject to existing easements, restrictions, reservations or highways of record, if any, as well as any or all Brookings County Zoning Ordinances. The RE licensees in this transaction are acting as agents for the owners. Sold subject to confirmation of the owners. To Inspect the Property, bring your 4 wheeler/ATV or saddle horse and inspect the property at your leisure, although being respectful of any standing crops and closing any gates, especially if livestock is present! To view aerial maps, soils and other information, visit the auctioneer’s websites at www.suttonauction.com or www.burlagepeterson.com. Or feel free to contact the auctioneers for additional information.